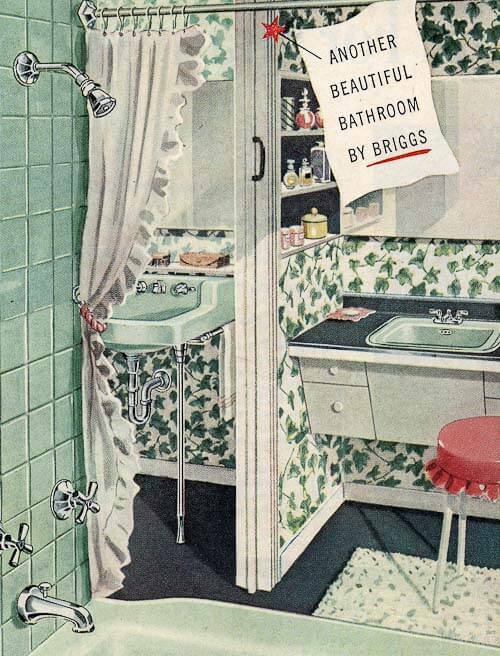 Because mid-century bathrooms often featured modest (albeit colorful) ceramic tile finishes, my research to date has mostly focused on relatively inexpensive mainstream solutions … of which there are quite a few … including Daltile, its sister company American Olean, and the mecca of mid-century colorways: B&W. Hey, the big box home stores — Home Depot, Lowes, Menards, etc. 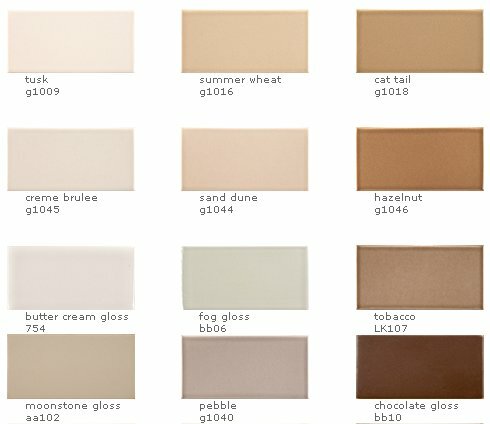 — are the first place you should actually look, especially if you are wanting neutral beiges or white. 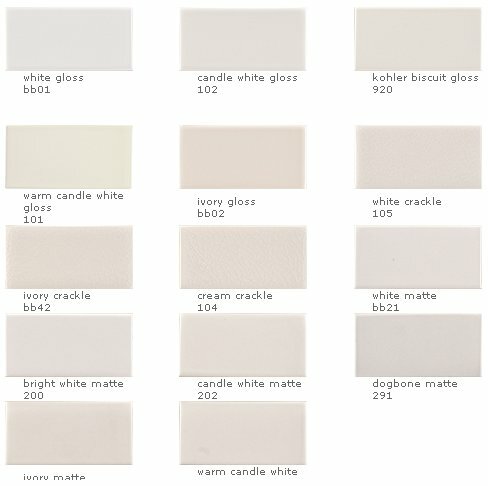 At the Menards in Grand Forks, ND, I saw white 4×4 field tiles for 16 cents each. 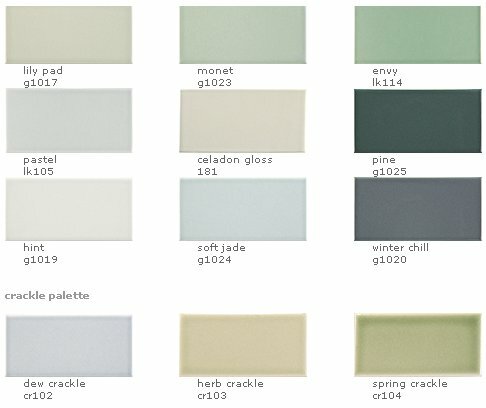 And of course, you can stalk your local Re-Store: If you give it enough time, you can probably find enough tile — maybe even something fabulously mint-in-box mid-mod — to do an entire bathroom. 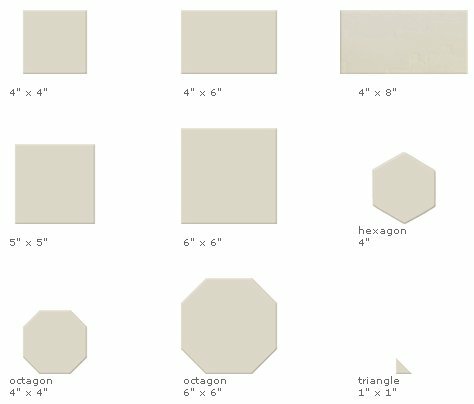 However, Kelly yesterday has tried all of these solutions and still cannot find tile to match her 1956 pink and grey ceramic mosaic tile floor and fill the gaping hole. 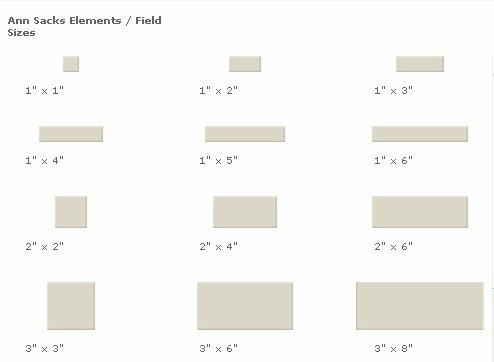 As a result, I now offer up the first of two additional tile makers that *may* have a match… and this one is a doozy: Ann Sacks’ Elements Ceramic Basics offers 147 colors in 26 sizes. 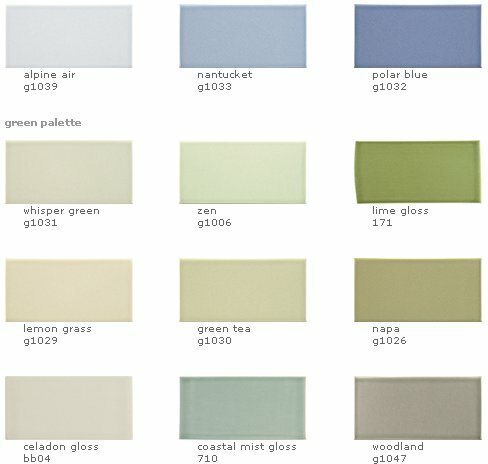 My goodness, these colors are beautiful — and the selection of sizes, awesome. Kelly, maybe you’ll find some help here. 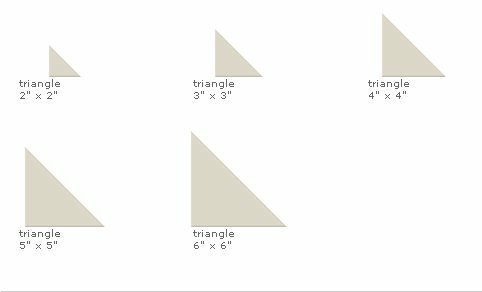 Field tiles start at $20.95 s.f., the website says. Link: Ann Sacks Elements Ceramic Basics. To launch slide show, click on the first thumbnail. Move forward or back via the arrows under each image. 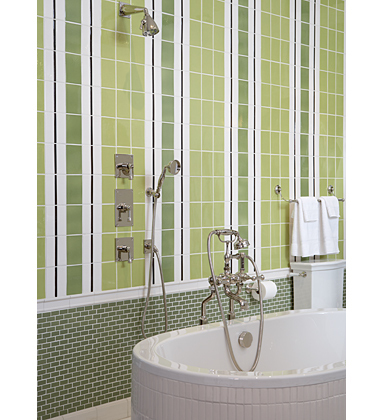 Those tiled walls with the striped design make me think of a bathroom in a house for sale not far from us. I haven’t been in the house, but from the photo it looks like each individual tile is multi-colored, and together they all make stripes. 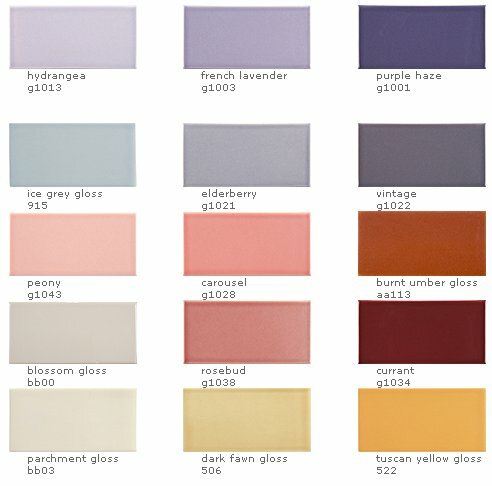 I just retiled my guest bathroom wall like the one in the picture using pink instead of blue tile. I got the tile from B & W. It looks awesome. It was quite a task figuring out how many of each and drawing the pattern out on the wall beforehand for the tile guys. I also am putting about 20 of the starburst Ann Sacks tile around my countertop as a backsplash but have to wait another month for them to come in. I’ll post pics. 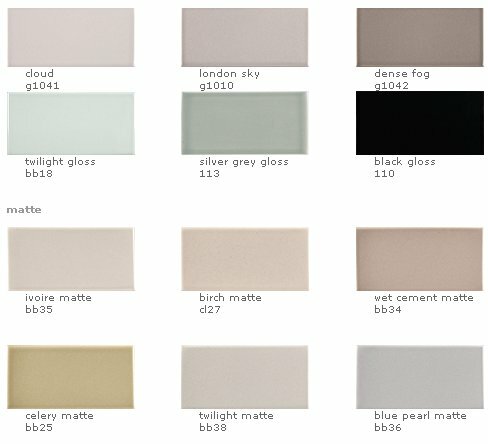 B & W is definitely the place to get tile as they are MUCH cheaper and very helpful! 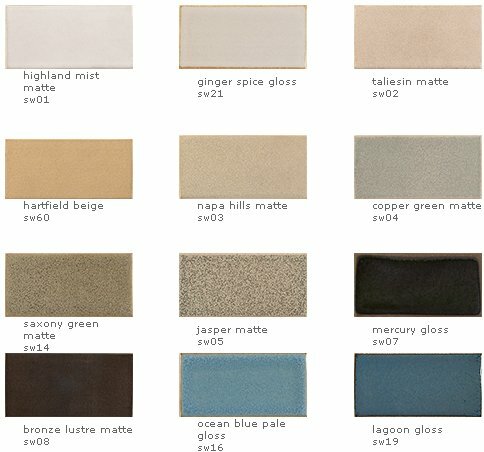 Actually Ann Sacks has lots of tile for under $12.00 per square foot. It is a new focus for the company to offer products in a “good” price point. Also, there are always many discontinued items that are on SALE at 50% off. My clients are buying tile at $5.75 per square foot. Anyone interested can email me and I will send pics & samples. 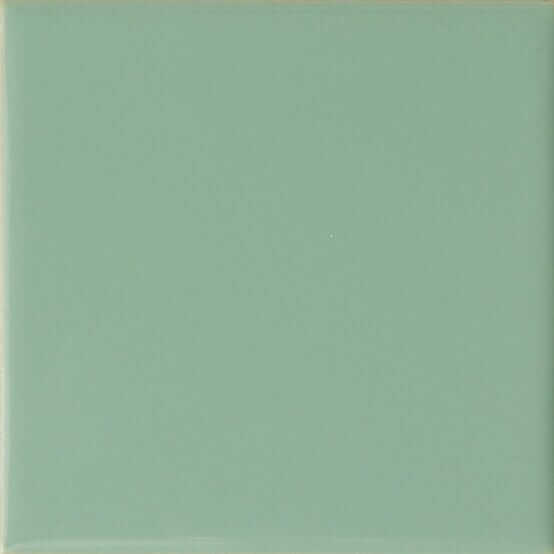 I am looking for sage green or silver green subway tiles for a backsplash in a 1929 Arts and Craft kitchen reno. They seem to be decidedly out of style. While Ann Sacks has the best colors I had up but given up on her becuase of the price but your post encouraged me to keep looking at some of her more economical lines. 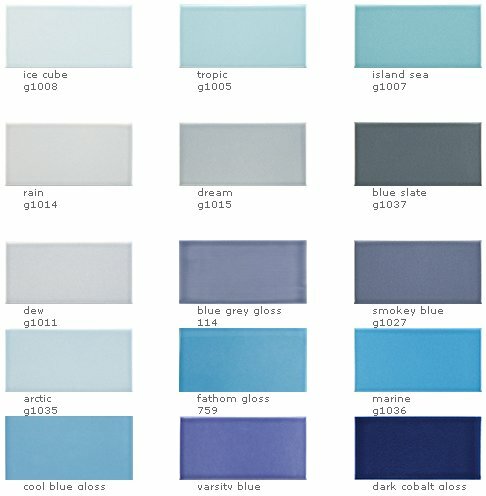 I am wondering if you can tell me more about your experience with the price of the AS tiles and possibly recommend a good supplier. I live in Ottawa Canada but can get things delivered to Ogdensburg NY. 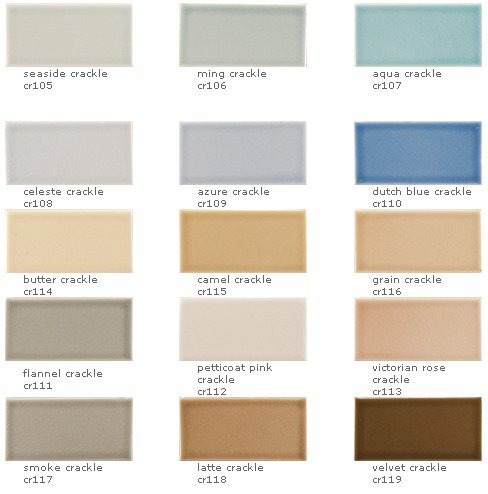 Hi, I’m renovating a powder room and a full bath and would love to see any discounted Ann Sacks tiles that you might have available. Here in Portland, we watched Ann Sacks grow from her first showroom into a minor design empire. It’s good to know she still has so many basics! 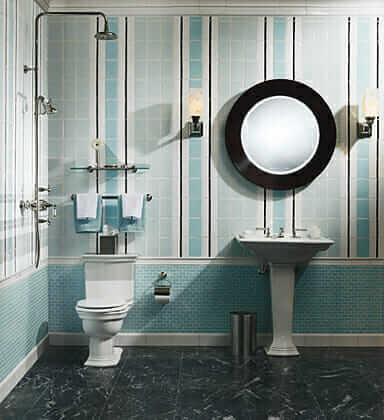 Ann used to make custom tile exclusively for Kohler, they bought her out in 1989. Good Price Point is now a focus at Ann Sacks. 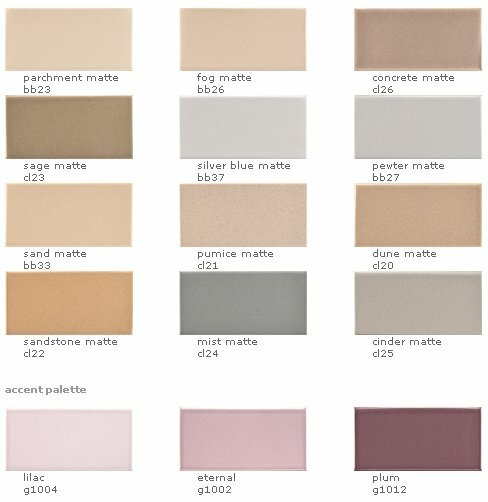 Where can I get retro pink bathroom wall tile. 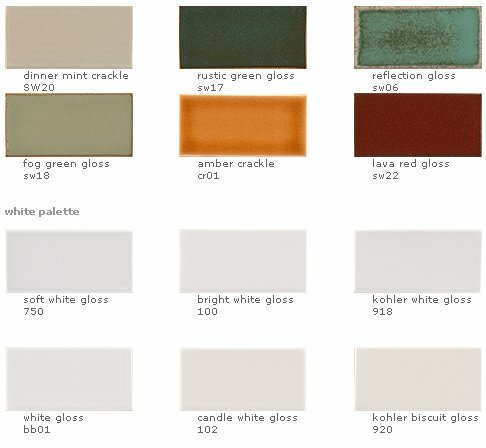 The type I need looks like the British ceramic tile. Can I order form you.